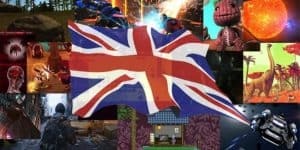 UK Game Companies Might Relocate Due To Brexit | Nerd Much? Unfortunately, we can’t just live in an isolated world where the Gaming Gods compete to be The One forever. Sooner or later, the politics of the gaming industry will have to include those our respective countries make. Just as many game companies stood against Trump’s recent executive order on immigrants, some companies in the UK are protesting the UK’s departure from the EU. According to a survey by the trade body UK Interactive Entertainment, 40 percent of UK game companies are seriously “considering moving part or all of their business outside the UK” in order to remain a part of the EU. This is likely due to the fact that “61% of respondents rely on highly skilled international talent,” making up over a third of employees at these game companies. In addition to plethora of problems with immigration laws and international employees, which the survey helpfully lists and has suggestions to solve them. That said, so many of the these game companies want to leave just to make it easier on their very much needed and talented employees. It is so important to keep in mind just how diverse and global the gaming industry is in light of such closed-economy and closed-border policies as Brexit and Trump’s executive order. Even the Gaming Gods are not immune, as they probably even more international than most of the smaller UK game studios. Sony, for example, is a Japanese company that owns studios across the world, from Guerrilla Games in Amsterdam to Naughty Dog in the US. If Sony was suddenly cut off from publishing the works of either studio because they’re located in a different country would affect Sony in ways I can’t even imagine.